Here it is. My first relaxer touch-up post in 2015. Once again I'm on a quest to find a stylist. Since I've moved to another state, I need to find someone in whose hands I will trust my hair. For this touch up I decided to try a stylist that was recommended to me from my stylist in North Carolina. She doesn't know this stylist personally but has heard good things about her. The day of my appointment I arrived about 15 minutes early. When I got there the stylist had one person in her chair and one at the bowl. She said she'd be with me in a few minutes which turned into 30. I was a little ticked because I'd made an afternoon appointment with the hope it wouldn't be that busy and I could get in and out in a couple of hours. If I wasn't having pictures taken the following week I would have just said forget it and walked out. 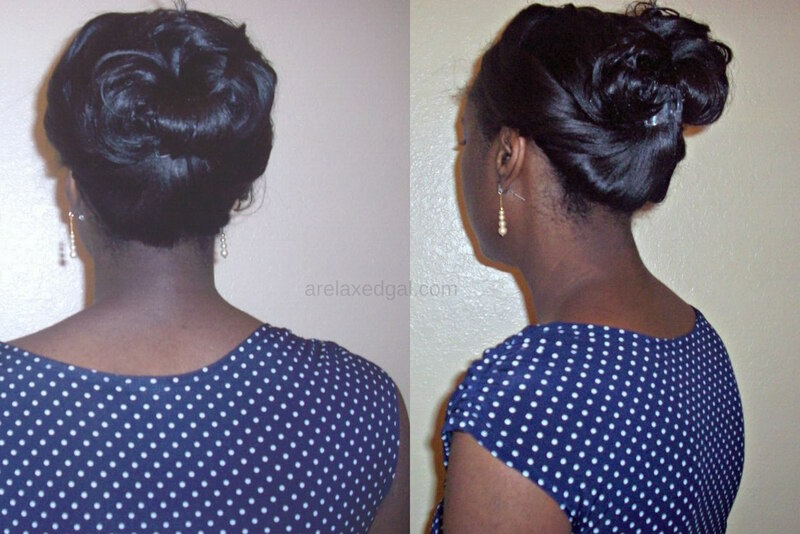 While I was waiting the stylist asked what I was going to have done, I told her a relaxer touch up. She asked how long since I'd had my last touch up. I told her 16 weeks. Her response was "16 weeks?" In a tone of disbelief. 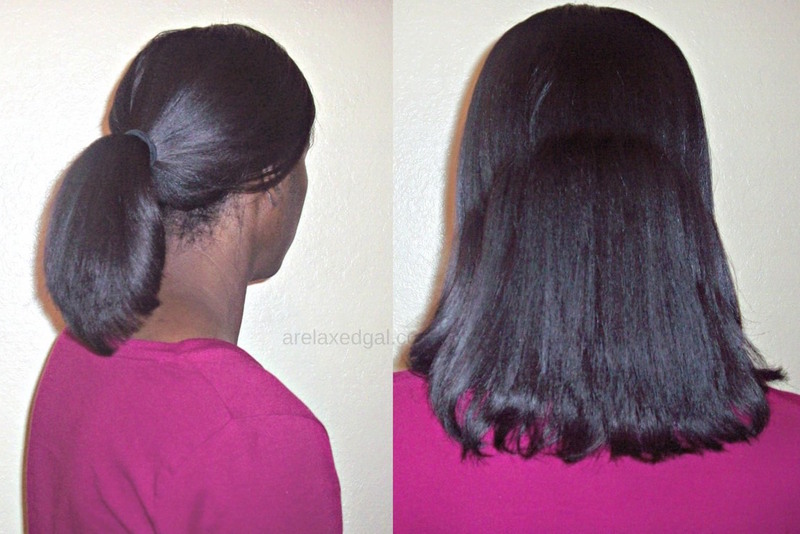 This was my first clue that she isn't a supporter of relaxer stretching. Other clues came during the appointment with other things she said about why I shouldn't go so long between touch ups. 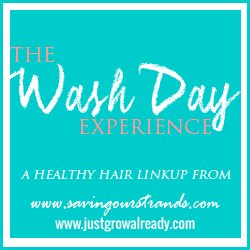 She took extra care to make sure the relaxer was rinsed out. She washed my hair three times and took extra care to rinse each time. Outside of the things that I didn't like, I thought my hair looked good afterwards. Will I go back? Probably not? What was your most recent salon visit like? Your hair looks great although your experience was so-so. I don't even think I could handle going to a salon right now based on how much information I personally know about my own hair. How much did she end up trimming? She trimmed about half an inch on the right and little less than that on the left. My right side grows faster than the left side. Thanks for reading! Your hair still came out very thick and nice. It did! I'm excited to see my hair thickening back up to where it used to be. Your hair looks really good! 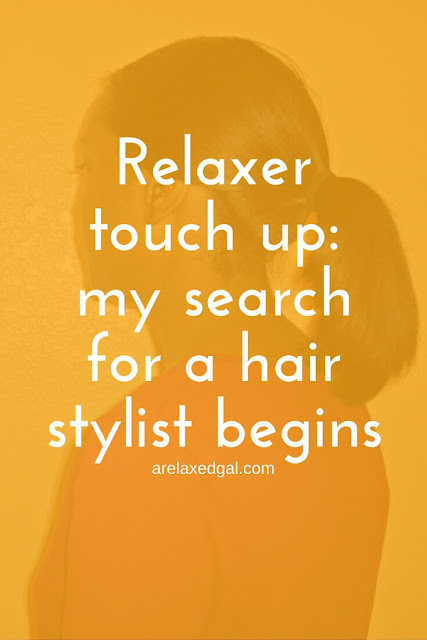 When I relaxed my hair I would often try and stretch it. I work at my sisters salon (i am a massage therapist, I don't do hair) and she does my hair. If she wasn't a stylist I don't think I would go to a salon. I'm glad that your hair looks good even though your stylist wasn't great. Your ends look fabulous btw! Your hair looks great, I really like the updo. I never heard of pillow rollers before, I'll have to try them out because I hate sleeping with rollers and flexi rods in my hair. Your hair and ends look awesome. Its very shiny and looks really healthy.